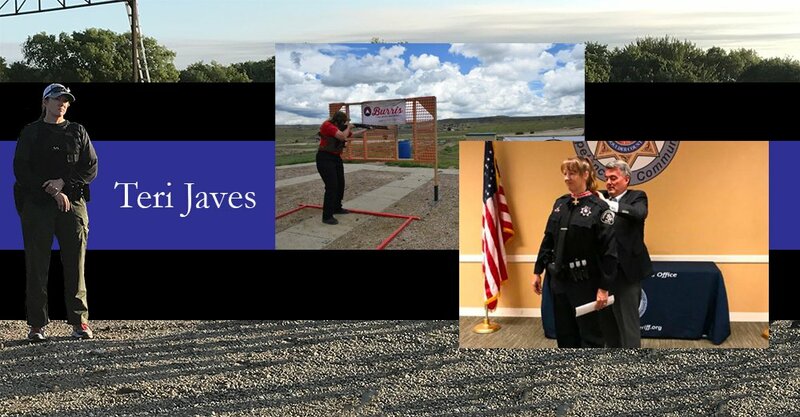 Although she is a deputy with the Boulder County (CO) Sheriff’s Office and a member of A Girl & A Gun Women’s Shooting League (AG & AG), Teri Javes does not describe herself as a firearms enthusiast. She is a mom to two daughters, a wife (they met in jail; he’s a deputy, too, not an inmate), a daughter, an animal lover, and never planned on working in law enforcement. 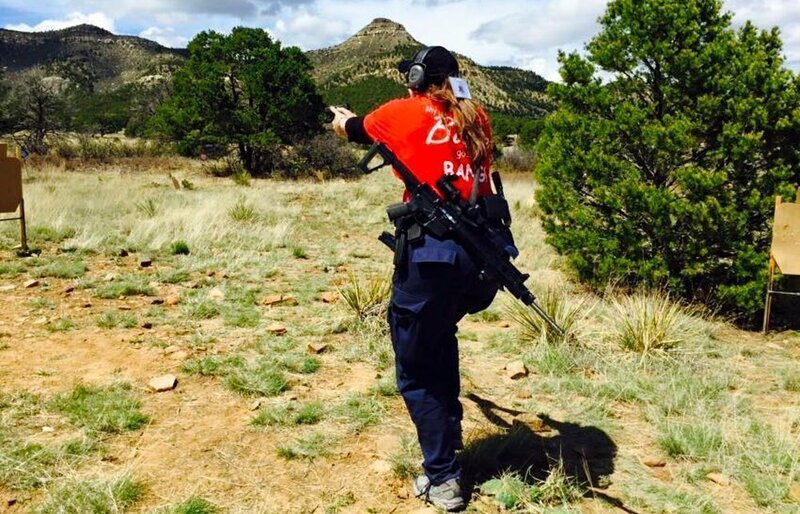 She enjoys competing, so her husband encouraged her to try additional shooting sports. Teri could not have predicted that 3 Gun would one day help her survive an officer-involved shooting. 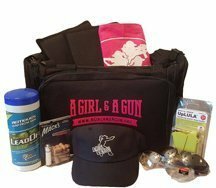 Teri Javes learned 3 Gun strategies at the 2015 AG & AG 3-Gun University. Teri competed in only three 3 Gun matches before her shooting skills were tested in the utmost way. On August 10, 2016, at approximately 1700 hours Teri was clearing a call. She was getting ready to head back to the Sheriff’s Office headquarters to finish some paperwork and end her shift at 1800 hours. A call was aired about a man walking northbound on the southbound side of Hwy 287 with a gun in his waistband making threatening gestures to the oncoming traffic. Although Colorado is an open carry state, dispatch had received several calls about the aggressive and threatening behavior this man was demonstrating and there was significant concern. The last reported location of the suspect was much further south of Teri’s position. She drove forward and notified dispatch of this new information. She saw him about 60 yards away with a pistol in his hand. She updated dispatch with her location and that she was in contact, automatically activated her lights, and stopped approximately 50 yards from the subject. Gunfire shattered Teri Javes’ driver’s side window as she stood behind it. Teri looked up and saw the man still walking towards her, firing his gun at her again. She fired twice more, and then ducked down again, taking cover. She quickly peeked over the driver’s side door and through her shattered driver’s window, and discovered that the man was gone. Teri was parked southbound on Hwy 287 on the shoulder of the road, so the only direction the suspect could have traveled was to the west or north. She could see that traffic was congested, but still flowing, and she could also see approximately two miles to the south in front of her vehicle. A farmhouse and barn, the only structures for miles, were to the west of where she was parked. She was afraid the suspect was continuing to move around to the west side of her vehicle to shoot her from behind. The suspect leaned out from behind the pillar and shot at Teri again. She was able to fire another shot before taking cover again. She tucked behind her vehicle and called out more information into her radio to dispatch. She peered out again and fired two more shots at the suspect, who returned fire and then ducked back behind the pillar. Teri thought, “This is not working for me.” It was time to transition to her rifle. She worked her way back to the driver’s side of the vehicle, in a crouch, telling dispatch that she was going to deploy her rifle. While trying to keep an eye on the assailant’s location and maintaining some sort of cover, she pulled her AR from the rifle mount located from between the two front seats of her patrol vehicle. She worked her way back around to the rear of the vehicle in a low crouching position to the passenger-side quarter panel of the unit. With her rifle at a low ready as to not telegraph her position, Teri peered out to the location where she last saw the suspect. He was no longer in sight. She kept looking to the west to make sure he was not coming around to her. After several commands and not getting any response Teri wanted to make sure he was still behind the pillar. She was concerned that he may have gone into the house, which could have created a whole different set of problems. She decided to use the scope to look for him, so she brought the rifle up, with a hasty C-clamp braced on the “D” pillar of her vehicle. “I saw what looked like the heel of the suspect’s foot move from behind the pillar,” Teri recalls. 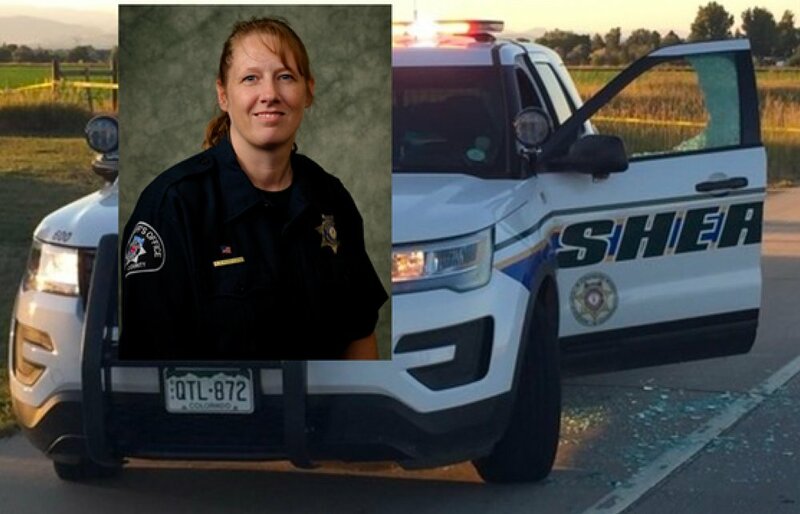 At this point he had fired numerous (later determined to be six) rounds at her and towards one of the three busiest highways in Boulder County during rush-hour traffic, and disregarded her attempts of getting him to comply with her commands. Teri took two quick shots with her rifle braced off the “D” pillar of the patrol vehicle. One of the bullets hit the assailant in the lungs, nicking part of his heart, and the other shattered his pelvis. This caused him to lose all balance, falling backwards. Teri watched as the gun flew out of his hand and away from his body. The man eventually complied by rolling onto his stomach. Teri angled around him near his feet, keeping him at rifle point. She picked his handgun up off the ground and secured it. She told him to put his hands behind his back. She held her position as her backup arrived, screeching to a stop, and jumping out of his vehicle to assist her in handcuffing the suspect. Shortly after, the man was taken into custody and transported to the hospital, where he died due to his injuries. After a comprehensive investigation, the Boulder District Attorney’s office determined that the shooting was legally justified. From start to finish the incident lasted only six minutes. “My experiences in 3 Gun helped me survive my officer-involved shooting,” acknowledges Teri. “My comfort with my weapons, knowing their capabilities and mine, kept me calm and focused.” She credits 3 Gun competition with her ability to make efficient magazine changes because she was able to process that she had shot multiple rounds, knew that she would need a full magazine while moving to the next contact, and was able to perform the reload automatically. Teri was also easily able to transition to her rifle after making the mindful decision that the handgun was not her best option at that distance, knowing that her rifle with a scope was needed for an accurate snapshot at a fleeting target at 45 yards. She credits Denise and JJ Johnson from Rocky Mountain 3 Gun for their training at AG & AG’s 3-Gun University on searching for small targets with her optic so that her sight picture was instinctive. 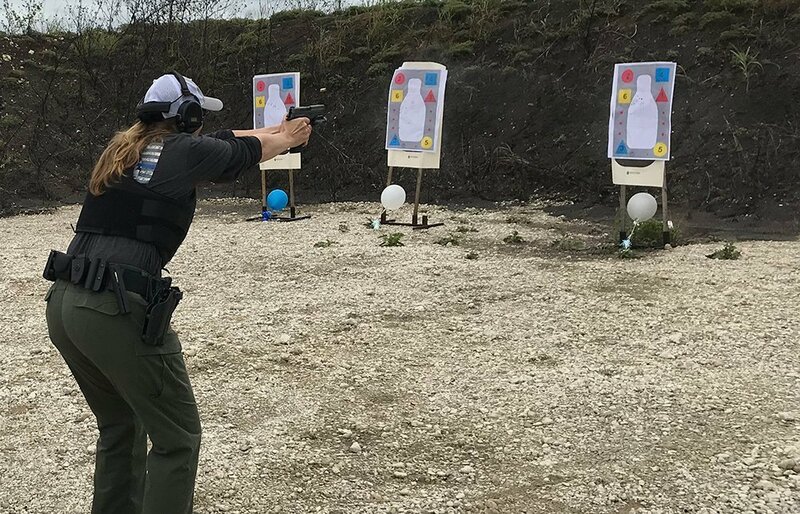 The lessons learned from 3 Gun competition reinforced her mechanics and mindset, so that Teri was able to concentrate on the problem at hand, keep calm, communicate effectively with dispatch, and most importantly, stop the threat. In 2018, Teri was awarded the Law Enforcement Congressional Badge of Bravery by the U.S. Attorney General in recognition of her courageous acts in the line of duty. Teri participated in the 2018 AG & AG Back the Women in Blue Training Event. Incredible story. Reading this sent chills up my spine. I’m not a police officer but your incident has inspired me to try 3 Gun. Thank you and I am so glad you came through this unharmed. Teri’s story is exactly why I encourage any officer to strongly consider action shooting sports to hone their firearm skills. Running quals twice a year is not an adequate amount of training – and that’s what some LEO friends tell me that’s all the departments will support. Teri prevailed because she was proactive and prepared – and apparently cool under fire. Your my hero! I totally respect women in law enforcement. You did an amazing job and should be very proud of yourself. I’m just learning to shoot and practice several times a week. 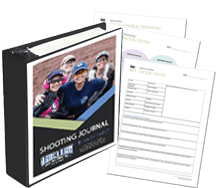 There’s a lot more that I have to learn and joining A Girl and A Gun has helped me immensely with the once a week journals and stories, like yours. My only regret is living in S Fl my closest chapter is an hour away. Thank you again for sharing you expertise and experience with us.